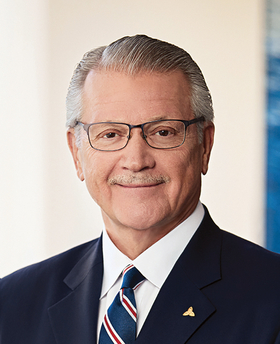 Anthony R. Tersigni is president and CEO of St. Louis-based Ascension. The partisan road to healthcare reform appears to have reached an inconclusive end, at least for now. But in its wake is an opportunity for Republicans and Democrats to come together and improve our healthcare system in a bipartisan way. Hopefully, one of the lessons learned from the past few months and years is that partisanship does not work when it comes to the nation's healthcare. Partisan efforts take things in an ideological direction that is not sustainable, consistent or stable over the long term. Both parties now need to reach across the aisle and develop a bipartisan piece of legislation to fix the very real problems that plague our health system and those who rely on it for their care. Our nation's leaders have tackled some of the most significant challenges in our history through bipartisan cooperation, including civil rights legislation and Social Security reform. In the wake of recent legislative activity, what our nation needs now is a two-step process. First, to maintain and shore up the individual market, the administration should continue funding cost-sharing reduction subsidies while Congress prepares legislation as quickly as possible to provide this funding on a more long-term basis. Second, Congress should initiate hearings on important longer-term issues to strengthen our healthcare system. These hearings could address real, systemic issues that include improving an individual insurance market that in many states is not functioning well as evidenced by the exodus of insurers; increasing the efficiency of our health system; supporting mandatory entitlement programs for the elderly and the vulnerable; addressing the skyrocketing costs of drugs and devices; and demanding more efficiency out of providers and health systems. Because this kind of long-term healthcare reform is needed, I ask both parties to do what seems difficult now, but what was achievable back in the 1960s with the creation of Medicare and Medicaid, and in the 1980s with Social Security reform—put aside political differences and work together. Sen. Chuck Schumer (D-N.Y.) put it well after Republicans failed to enact any version of repeal: "We are not celebrating. We are relieved. ... So let's turn the page and work together to improve our healthcare system." Some elements our country needs to seriously consider include expanding waiver authority for states to be more aggressive in creating efficiencies in Medicaid and in their individual insurance markets; allowing for more robust and creative uses for health savings accounts; and agreeing to alternatives to the individual and employer mandates. We also cannot harm the very people who need care the most by significantly cutting Medicaid. This effort will likely need to recognize that the federal government has an important role in the individual market as the reinsurer of last resort for a small number of very high-cost patients so insurers will have the confidence needed to remain in the individual insurance market. We are at a clear crossroads for healthcare reform. The partisan approach has been rightfully criticized from all corners, including most importantly, patients. The temptation is for each side to retreat to their respective corners and blame the other party for the failures that are on the immediate horizon. That is not the leadership we need at this point in the history of our ongoing discussion on healthcare. This journey must start with the important step of realizing that bipartisanship and courage are the only way to address the very difficult issues facing us. In the words of Sen. John McCain (R-Ariz.), a man who knows something about courage: "The Congress must now return to regular order, hold hearings, receive input from members of both parties and heed the recommendations of our nation's governors so that we can produce a bill that finally provides Americans with access to quality and affordable healthcare." The Bipartisan Policy Center has put together a Group of Ten from all points of the political spectrum to provide needed, bipartisan thought leadership. Congress would do well to call on this stellar group to jump-start reform. Now is the time for leadership by brave members of Congress and the administration who are willing to start the journey and walk together along the road less traveled to solve very real problems on behalf of the American people.